Mahogany is a great wood for outdoor decks, be it Cambara mahogany from South America or Meranti mahogany from Indonesia or the Philippines. It has a tight grain, does not splinter easily, is free of knots, and looks great when treated. But it is not perfect. It fades. It loses that rich red-brown color and turns grey. The criminal here is the sun, specifically, its ultra violet rays. They will bleach the color out of any wood, including mahogany. If you block out those nasty UV rays – with a roof or a thick canopy of trees – then mahogany will keep that rich color. But you have no such luck. Your backyard mahogany deck is totally exposed to that evil sun. So what do you do? You need to block the UV rays, and that is best done with a pigmented, oil-based, protective coating. The pigments block out the sun’s rays and also add color. (Oct 2015). Nota bene: I focus here on treating mahogany, but my instructions, warnings, and advice also apply to decks built of other outdoor hardwoods. Like Ipe, Cumaru, Tigerwood, Massaranduba, …“Massa…what?” …randuba. Yeah, Massa ran d u b a. Sounds like some nasty disease. You know, like: “He caught a bad case of Massaranduba on an African safari and nearly died.” Actually, it’s not a disease, it’s a South American hardwood that’s even harder than Ipe. A n y w a y , sunlight will fade all these hardwoods to grey over time. To restore color, use the same preservatives formulated for hardwoods and the same process I explain below. Indeed, these procedures apply generally to treating any wood deck, including softwoods like pressure treated pine and cedar, but you should use a preservative formulated for that wood. For tips specific to pressure treated decks, see my blog post on restoring PT. But let’s gets back on the mahogany track. 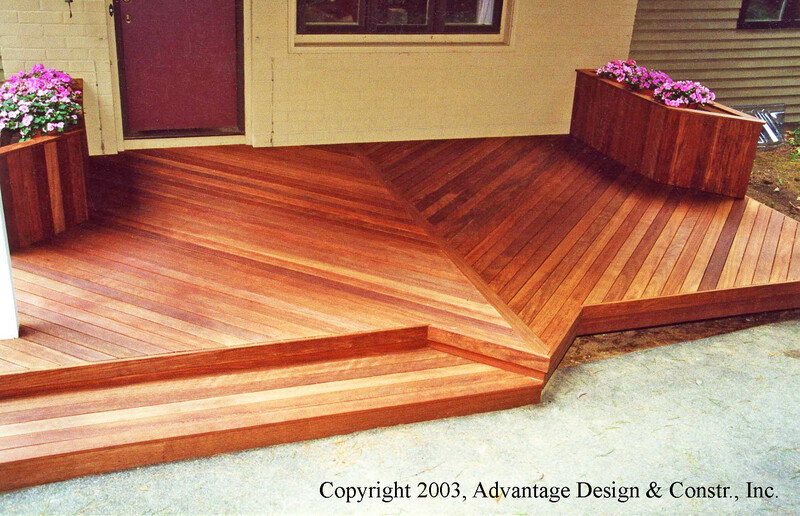 If you suspect that treating your mahogany deck will produce surprising, even dramatic results, you are right. Here are some well-stained mahogany decks that we’ve built. Fortunately, treating a deck is not difficult. It’s a project you can do in an afternoon. Here are some tips. 1. Why treat your mahogany deck? Treat it because it has faded to grey and you want to restore its original, rich color. Using a quality protective oil will extend its life. 2. When: Treat your deck when you no longer like its color. Test it: if a drop of clear oil (or water) soaks into the wood within a few seconds, then the oil treatment will also soak in. But if the oil or water stays on the surface for five seconds or more, then wait. The oil treatment will not properly soak in, and your deck is not ready. 3. How often you need to treat your deck is a function of how much direct sun it gets. In full sun, it will need treatment yearly. So treat it when it is new – ideally after the first rainstorms wash it but within its first few weeks of life. Thereafter, to maintain its good color, treat it yearly — or less frequently if it is shaded. 4. What parts of the deck you treat similarly depends on how directly the sun strikes each. On south facing decks, the sun hits horizontal surfaces directly, so you’ll need to treat the deck’s floor, stair treads, and rail tops most frequently. The sun is kinder to vertical surfaces, like rails, risers and deck trim; those you’ll need to treat only every several years. I have informally tested each of these on Cambara mahogany in my backyard. For longevity – holding color the longest – Cabot’s Australian Timber Oil, “ATO”, mahogany flame color, is the best. Penofin’s Brazilian Rosewood oil is second, and I find its price (about $50 a gallon) a disadvantage compared to Cabot’s ATO, at about $35 a gallon. One note about color. Most of the penetrating oils are available in shades of brown. If you want to restore the natural reddish color in mahogany, choose Cabot’s ATO mahogany flame; it is very popular. 5B. Stucco. (June 2011) A reader’s recent question led me to investigate an unexpected problem with stucco walls adjacent to decks. Stucco is alkaline (that is, non-acidic, with a high pH). If not properly cured and painted, stucco can react with rain water to create an alkaline solution that “attacks” any adjacent, newly applied deck preservative. It can extend drying time, discolor the preservative, and cause it to fail prematurely. Cabot formulated a new version of its ATO preservative to survive an “alkaline attack” from stucco. Ask for ATO series 19400 from your local Cabot retailer. 6. Read and follow the manufacturer’s directions on the gallons of penetrating oil you paid so much for. Admittedly, they will be conservative, but the manufacturers are the experts. And you might even learn something. Like: apply only one coat of penetrating oil. A second coat will not soak in properly and will leave a shiny, uneven mess. ♦ DeckBrite™ from Rust-oleum (formerly by Wolman)®. 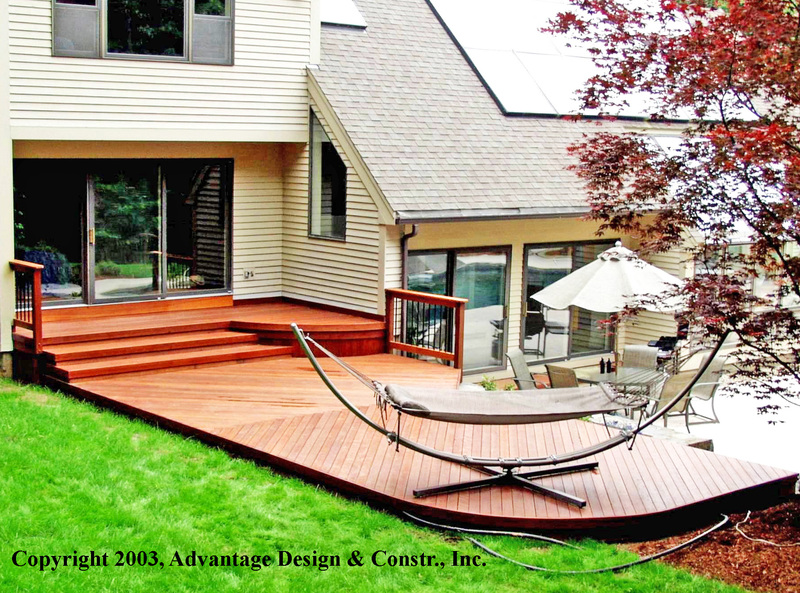 I have not tried DeckBrite, but Wolman is a well-established company that specializes in wood deck products. ♦ Problem-Solver® Wood Cleaner, product #8002 and Problem-Solver® Wood Brightener, product #8003, both from Cabot. I have used both these cleaners on mahogany with good results. An alternative to chemical cleaners is power washing with plain water. Power washing machines can be very powerful – sometimes too powerful. They can seriously damage the wood (i.e., make it fuzzy, which is very difficult to fix). To avoid that damage, set the power level fairly low (certainly less than 1500 psi) and start with the wand’s nozzle far away from the deck and slowly lower it as you sweep back and forth. Begin 24” away; and watch carefully as you lower the nozzle. You want to blast away the dirt, grime and stains but not blast away the wood surface. I am serious here: “blast” is exactly what power washing does. You’d be wise to practice on some scrap wood. Use a slow, steady motion. Technique here is important for getting an even appearance, for the effects are dramatic. If you are unsure, hire a professional to power wash. And do not power wash in bare feet. That water stream will draw your blood in an instant. Insure that the deck is dry. Seriously dry. If it rained lightly on Monday, do not treat the deck on Tuesday. Wood dries from the outside in. When it feels dry on the outside, it’s probably still wet on the inside. You do not want the penetrating oil to trap moisture inside the decking. After moderate rain, wait at least two days; three days is better. The manufacturers advise “3 to 5 days minimum.” You want the moisture content below 15%. I know: Who has a moisture meter? A deck that is high in the air, that gets lots of sun and lots of wind will dry faster than a low deck in the shade. After cleaning then, you’ll need at least five dry days: three or more days before you treat the deck, one day for treating, and a final day for drying. Temperature and humidity significantly affect drying time; cooler temperatures and higher humidity extend drying time. The manufacturers recommend 45 or 50 degrees minimum for the entire time — which is 12 hrs or 24 or more. So 55 during the day is OK, but night time temps that drop to 35 degrees will delay drying. To meet the new VOC rules, manufacturers have removed solvents from their oils and that also extends drying time. 7A. Clogged Decking (June 2013) Here’s a photo of my sister-in-law’s deck. Notice any problems? Exactly. The gaps between floor boards are clogged with…junk. Natural junk — tree seeds, bits of leaves, pollen, etc. — but still junk. You must clear all of it away. It prevents your deck from breathing and draining properly and, worse, it holds moisture that will accelerate rot. Clearing it may be tedious, but you must remove all of it. Use a putty knife to force the junk up and then sweep all of it away. You may need to scrape the edges of your decking to thoroughly clean it. Were I cynical, I’d tell you that clogged decking is a self-correcting problem: Do nothing and the problem goes away. Yeah: your deck flooring will rot away, and you’ll have to install entirely new flooring. Costing you $thousands$. Want this to be your deck? If you disregard my advice, two things will surely happen: your deck will be uggg-ly for years, and I will come to your house and dope slap you. Got it? Watch out for two other issues. As you treat, have a rag handy and wipe up any excess oil that does not soak into the mahogany within 5 or 10 seconds. Clean up any pools of oil. If you apply too much oil, your deck will be shiny and tacky — for a long time. Secondly: Beware of oil dripping over the deck edge. You probably cannot see over the edge when you are treating, so check frequently (after you finish that board) or have a friend or your spouse watch for this. Your spouse may even enjoy pointing out your mistakes as you crawl along on your hands and knees. Treating your mahogany deck is a labor of love. It’s work, but you’ll love the results. To read about how long your mahogany deck can or should last, see my article about deck longevity. ♦ An informative explanation of fading and flashing problems. We at Advantage Design & Construction offer professional design and build services for clients west and north of Boston. Over the past 26 years we have designed and built over 950 projects, including over 240 mahogany decks. We have enhanced the depth of our expertise by limiting our work to decks, porches, sunrooms, and patios. To view some of these projects, visit our website. To learn how we treat our clients, check our ratings on Angie’s List or read about us in an article in Remodeling magazine. For a free design consultation and a relaxed and rewarding experience, contact us via e-mail, subboston@archadeck.net or by phone, 781-273-3500. © 2010-2016, Advantage Design & Constr., Inc.
PreviousPlanning to renovate your pre-1978 house? Take note. NextHow Safe is Your Deck? 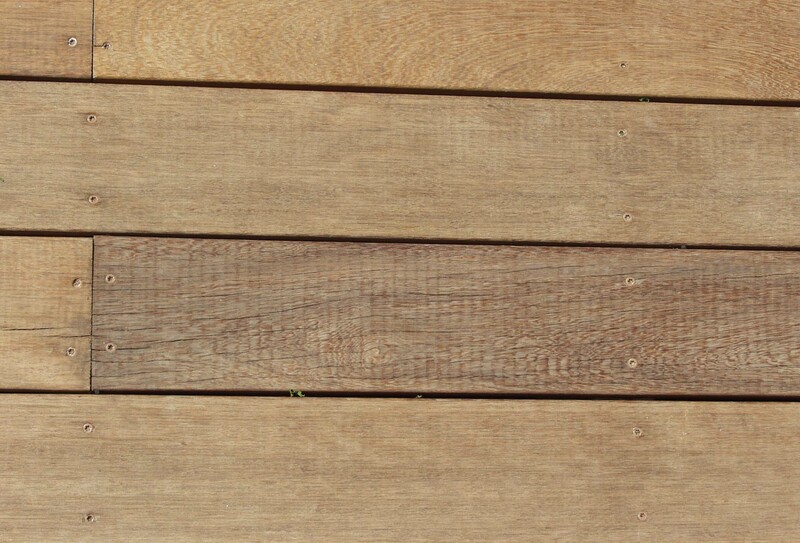 Thanks a ton for your informative blog on treating mahogany decks. Our house has a mahogany front porch which is a significant feature of the house.It had not been treated for about 5 yrs and was beginning to look a pale and the steps, which are exposed to sun, were completely grey and weathered. I referred my handyman to your article and the Cabot product to treat it. Although he exuded confidence and experience, I knew mahogany is a particular wood with natural beauty…thus I found your site and suggestions. Here we are a week later, after he power washed and sanded with a small electric hand sander, he painted on the Cabot using both a brush and a small roller (I see now that was sub-optimal). The deck looks great — however I learned that he did a 2nd coat the next day. Now it LOOKS ok, but its tacky. In addition, there is a distinct visible straight line where it appears he took a lunch break while using the roller. I decided to read in detail your article, and now I see the very wise suggestions to read the Cabot instructions, which in fact says NOT to apply a second coat, and to do the full length of the boards without stopping mid-board. Ugh. Any suggestions on what to do now? Its been about 5 days and I’m still not allowing shoes on it, and if I slide a lightweight chair or end table to a new position it leaves a line on the surface, which does not come off with a quick hand buff. I fear that every speck of pollen & dirt will stick to it, not to mention what will happen when we start using it and have a crowd of well heeled guests over for porch cocktails! As an aside, and in the category of lessons learned, I realize now that my handyman is a hard working man who does not read. I guess speaking perfect English does not guarantee literacy, and it was my mistake to assume he would read the directions on the Cabot can. At any rate, I would love to know what you might suggest now that I have a shiny mahogany porch which I’m afraid will have a million lines and marks where dirty shoe soles and marks wherever the UPS and mailman leave our packages. I really appreciate your advice, Thank you Jim! Christine, Your experience distresses me. Worse, my recommendation may depress you. Your deck can be saved – mahogany is a resilient and durable wood – but restoration will take considerable work. We encountered a similar experience some years ago. A client failed to follow directions and treated his mahogany liberally, but did not wipe off the excess. His deck remained sticky for a week without hope of it drying to a hard finish. I enticed our local Cabot rep to visit the deck and recommend a solution. His solution was to remove the ATO with Cabot’s Problem Solver Wood Stripper down to bare wood, thoroughly rinse it, let it dry completely, and then re-apply ATO — and wipe off the excess this time. I expect Cabot’s Cleaner or brightener would not be adequate. and to the instructions: http://www.cabotstain.com/do-it-yourself/steps/How-to-Strip-a-Deck.html. As I recall, stripping took 2 of us about 4 hours for a 250 sf deck. Good luck and tell me how your deck fared. Hello Jim. Thanks for the informative content and instruction. I’m getting ready to treat a 1 year and 2 year old mahogany decks and have a couple questions that will help maximize results. I power washed the decks with good results, but there are still some slightly grayish spots between passes of the sprayer, and on some more weathered boards. Will the mostly clean areas come back to natural with the stain, or should I go over it again and get everything very bright, natural and consistent? Second, the flame color is a little too reddish for my wife’s palate, and I’m wondering if you have pictures or an opinion on Cabot’s natural tint on mahogany? Or maybe the honey teak? Chris, I recommend you “go over” the grayish spots again to get the mahogany bright and consistent. (Sorry about the additional work.) The preservative stain will not mask inconsistent wood. Solid pigments in Cabot’s (and any manufacturer’s) preservative block the UV rays that fade wood, and because Natural has less pigment, it will fade more quickly than other colors. Thus I favor the other colors. Cabot has sample pieces of mahogany that show its different stains; your local paint store should have these or ask Cabot directly. You could even mix two ATO colors, but you’d need some sample boards for testing. Good luck. I’m very grateful I found your informative article on mahogany decking. I have a 15 year old Cambera deck. How late in the Fall would you say the Cabot or Sikkens products can be used? I ask because I live outside of Philadelphia and we missed the window to have the deck cleaned and treated due to a death in the family. We could still get a few dry warm days in December and sometimes even February (!) – would it be harmful to apply the oil if the deck has been properly cleaned and dried for the recommended two days? My problem is we now need to list the house, possibly in mid-winter and I’d love for this beautiful wood to be shown off. Sandy, the temperature guide on cans of Cabot’s ATO is like most manufacturers’ – safe: “Do not apply…when air or surface temperature is below 50º or may fall below 50º for 48 hours after application.” That is very restrictive. Deck preservatives are not like glue which holds at 45º but fails totally at 43º. For preservatives, lower temperatures increase drying time, and will probably make the deck surface tacky for a while. Personally, I would feel comfortable treating a dry deck on a day in the low 50s followed by night temps at 45º, perhaps even 43 º. Lower than that will extend drying time considerably and increase tackiness. Worse case: your deck remains tacky, possibly…forever. And then rain further damages the tacky deck. You’re in a bind here, Sandy. The few warm temperatures in late fall tend to arrive with rain. And I suggest that a grey deck is better than a badly treated, tacky deck that needs to be sanded, scraped and re-treated. Good luck. Nice Article Jim, Thank you for your work on posting all this!!! cheers. Brenda, Hey, 38ft long — I like your deck! Let me clarify the instructions. Do not worry about stain drying at the beginning of a board before you finish staining its entire length. You need to separate the wet / dry edge only between boards. The 3/16″ space between the side of one board and the side of the adjacent board separates a wet board from its dry neighbor. Convenient. If you brush the entire length of each board without stopping, and it will dry nicely. Yeah, 38ft is a long distance to brush without stopping. OK, you can stop for a few seconds — maybe 8 seconds so you can re-position your aching knees — just do not let the stain dry. Problems arise if you stain part of a board, stop long enough for that stain to dry, and then try to resume after that part dries. The issue is that you cannot restart the wet stain exactly where the dry stain ends. You will inevitably get a second layer of stain on some tiny part of the board: double coverage that is darker than the rest of your deck and looks horrible. And you cannot remove that double stain without massive effort, at best. All I can say, Brenda, is be glad your deck boards are not 68 ft long! And when you do get to the end of any board, you can stop for a cold ice tea (or something stronger) and ask you significant other (if you have one) why he or she is not helping you. If you have no significant other, then read Chapter 2 of The Adventures of Tom Sawyer, and learn how Tom got his friends to whitewash Aunt Polly’s fence when he relaxed in the shade. It could work for you. I do not recommend any top coat of varnish or polyurethane over your Cabot stain. That will not sink into the mahogany, but instead flake off over time. Ugly. We had a mahogany wrap around porch floor installed on our home which was built in 1850. That was 4 years ago and it was beautiful. The next year we sealed it ourselves with a Cabot product(can’t remember the exact name) which was recommended by the lumber yard where we bought the mahogany, who also said not to seal it the first year. WELL it took 15 days to dry! The next year I went to wash the porch off of the winter grim (I am in northern Ohio) and in places the sealant was clacking off and through the summer it continued to flake off more. Last year I was devastated! My porch was gray! With patches of sealant here and there and my beautiful color was gone in most places! We called the man who installed the porch floor, he came out, sanded the floor and put a coat of Thompson,s Water Sealer on it. I had my beautiful mahogany porch back! NOW this year all around the edges, where the sun and weather hits it looks like the boards are bleached out and are turning gray again. The other parts of the porch that do not get much weather seem to be OK. What can I do to fix this situation and get my beautiful red mahogany porch back? I would like to thank you so much for your blog and incredible professional advice. Late spring/early summer I made a huge mistake and aggressively power washed my mahogany deck. I caused some serious damage to the beautiful wood. I researched, asked for advice and then found your site. I spent 3 months over the summer fretting over my inability to be able to get this done right. I knew I couldn’t afford to have someone replace all the mahogany. As summer turned to early fall, I patiently waited for a window of opportunity, no rain and low humidity. I rented a huge orbital sander for the day. The shop owner laughed at me when I said I would be doing it by myself. I will admit the sander must have been over 175 pounds, tipping a young man to help carry it to the backyard was the only other assistance I received. Once the sander was plugged in, it was easy to maneuver. I carefully and meticulously sanded the deck with 4 different grits, initially with coarse then finer paper. I wiped it clean with a clean cloth. I used the Cabots as per your recommendation applying it with lamb’s wool. I cordoned the area off so no one would inadvertently step onto the deck. The deck looks superb, beyond what I thought it would look like. Your advice and product recommendations were outstanding. I am beyond ecstatic with the results and owe it all to you! What a great story — with inspiring results! But allow me one correction, Alexandra: you owe nothing to me. YOU did all the work, meticulously sanding your entire deck with a sander that weighs more than you and then carefully treating it. Send me a photo, and I will post it to the blog. Your deck will be famous. can tongue and groove mahogany be used under a roof (screen porch) over PT framing or must it be installed with a gap as in a deck application? Ventilation is always a good practice, especially on a low floor. On porch floors over two feet above grade, we gap mahogany flooring 1/8″ between boards (vs. 3/16″ on an open deck). If you do use T&G decking under a roof, I recommend you slope the floor down and away from the house (1/16″ to 1/8″ per foot) to help drain rain water that blows in. A knee wall around the porch will reduce such rainwater in your porch and consequently make T&G more feasible and reduce the slope needed. This is SUPER helpful Jim. Thanks very much for taking time. We live in southern NH and had a meranti deck built 2 years ago. Because of an ordering mix up, some of the wood came pre-finished and some not. We used Sikkens (clear – what was used on pre-finished portion) to treat the unfinished boards. Now the entire deck surface is faded to gray, some parts looking almost bleached. We need refinish the deck this year, and I plan to use your guidelines. I also plan to use the Cabots ATO in red flame (it makes sense to use something with a pigment – our deck is south facing). My question is about prep. Would you suggest simply power washing the entire deck and then treating the entire deck with the ATO?? Thank you so much. I have found your website helpful — not having found much information elsewhere. Diagnosing a problem over the internet usually gets me in trouble, and I promised myself I would not do so again. HOWEVER: Your deck is still young, so I suggest the only reason to power wash it would be to even out a blotchy, inconsistent appearance. 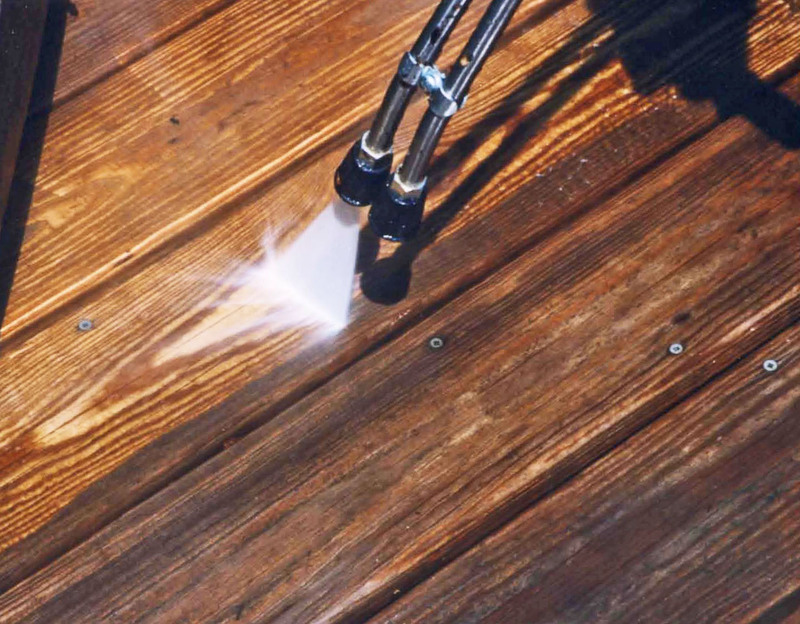 Power washing will blast away any remaining color (even blast away the top layer of wood). If the wood is all truly the same, it should look consistent and take on the new pigment evenly. But you mentioned you have a mix of pre-treated and untreated meranti – which suggests you may have variations in the wood itself (dense/less dense, darker/lighter). Hopefully not. Still, power washing is about all you can do. Sanding would probably achieve the same results (remove the top-most layer of wood) and require much more work. Another thought, Karen: Take and send some photos to Cabot’s technical support staff. They are available at 1-800-877-8246. Indeed, they are just across the border, in Newburyport. i am just starting a small mahogany deck project and found your blog. the deck will be 12′ x 14′. the joists will run the 12-foot length. one end will be attached to a ledger secured to the house and the other end will ride over a 6 x 6 PT beam just above ground level. the beam will be parallel to, and roughly 10 feet from the house. as a result, roughly 2 feet of the ends of the joists will be cantilevered beyond the end of the beam. i haven’t ordered my framing lumber yet but my concern centers on the evenness and flatness from joist to joist. my plan is to use 2 x 8 pt for the joists but even if i hand-pick the boards, it seems daunting to find perfectly straight lumber. the last thing i want is for my beautiful mahogany to look like it has waves in it. to address my concerns, i though of using parallam exterior boards for the joists but the cost will be prohibitive for me. the other idea i had was to double up all the joists. in this way, i could screw them together offset errors in their straightness. am i overthinking all of this? can you help? Eric, You are over-thinking. You need not worry so much about the flatness of your mahogany decking. I do have a few suggestions, however. If the height of your deck will allow it, use a double 2×10 as the main beam; it is less likely to twist or misbehave than a 6×6. If you can, buy #1 PT joists, rather than #2. The increase in quality, including straightness, will be worth the small additional cost. There’s no need or advantage to doubling the joists. The greatest threat to the achieving a flat deck surface comes from variations in the height of the joists. 2×8 s are approximately 7 1/4″ high; they can easily vary 3/8″ – from variations in the saw mill’s cutting process and from variations in the moisture content. As it dries, PT wood shrinks significantly and can misbehave. Buy all your joists from the same lift (bundle), and avoid the top and bottom layers – they have dried out more than the inner pieces. The weight of each stick tells you its moisture content. Buy the heavy, wet pieces and avoid the light, dry sticks. Once onsite, stack the joists on sleepers (a few inches or more off the ground) and cover with a tarp until you need them. That will help maintain an even moisture level. Here’s a carpenter’s trick to insuring the joists tops are even. Snapping a line on the ledger and setting all the joist hangers exactly even will almost guarantee the joist tops will be uneven. What? Yes, uneven. Despite your best efforts to get joists with the same moisture content, their heights will vary. Put those joist hangers aside for the moment. Align the top of each joist with the top of the ledger and attach each joist to the ledger without joist hangers. Difficult to do with your heavy 12′ joists? Try this: hammer a 12d nail half-way into the top of a joist, about 3/4″ from the end. Bend it over (90º) to form a straight hook. That hook will support the house end of each joist (the beam supports the far end). You may need to tap some joist ends so they are exactly even with ledger. Shoot a couple of nails to hold each joist in place. Once all the joists are up and even, add the hangers: snug each hanger from below and install the nails. Now the joist tops are all even at the ledger. You could shim any low joists at the beam, and then you’d officially qualify as finicky. Be sure to install blocking between the joists, mid-span between the ledger and the beam. I also recommend you install the mahogany 1×4 with screws rather than nails; use high quality stainless steel (316 grade) trim head screws. Interior finish carpenters have other fancy tricks to further address flatness issues, but they are not worth doing. Your deck is outside. It will experience moisture and temperature variations from 10 to 90 – per cent and degrees. It will be fine. Robin, Yes, that sounds good. Thank you for your insightful blogs! We had porch railings redone in April in mahogany. They are now graying with black stains by nails. Going to lightly sand and treat. Temperature is not supposed to go below 47 all week. Are your recommendations the same for mahogany railings as for decks? We’re pretty shaken by all the really bad Cabot talk we’ve read. Looked into Penofin and T.W.P. but that doesn’t necessarily sound any better! Just want our beautiful railings to have the great color and richness they had when installed in April….didn’t think it would be this complicated! Thanks for your input….. Thanks for your comment. Yes, the same recommendations about treating decking apply to treating rails. The temperature must be warm enough, and the wood needs to be dry enough. I like TWP for treating cedar and pressure treated wood, but is is not specifically formulated for hardwood (like mahogany). Thus I expect it is not thin enough to penetrate properly — as Cabot ATO and Penofin do. The “bad Cabot talk” seems to focus either on the short-lived 9400 series (which has been replaced with 19400 series) or on the surface remaining “sticky” and taking longer to dry. Yes, the new ATO (19400) does take longer to dry and will remain sticky if too much is applied. In the past you could apply a “flood coat” of older oil-based preservatives (like ATO 3400), and they would dry completely in 8 hours. But the new water-based preservatives must be applied more carefully; you cannot let them puddle, but should wipe off excess within a few minutes. Thus I recommend wiping your mahogany rails soon after staining them to remove any excess. Thanks so much for your speedy reply! Yes, stickiness is a concern for the handrail. So, here’s the plan for tomorrow – ATO 19400 mahogany flame, ‘wiped’ on with an applicator pad making sure any excess is wiped off within a minute of application. Daytime temps of 58, night time temps of 47… sound like it should work?? Hi, I am so grateful for all the info here. I don’t see this question answered: I’m worried it will not be warm enough to treat brand new mahogany deck until next spring (it is now almost november and deck should be finished next week). The ATO guidelines says temperature shouldn’t be below 50 degrees for 48 hrs. How critical is this or, alternatively, is there any reason not to leave this job till next spring (and just hope deck doesn’t get too filthy)? Cabot, like other stain manufacturers, has conservative application recommendations. Although ATO on your deck might dry in 40 – 45 degree temperatures, it will take longer, and in late October you risk real problems (staying sticky for weeks and worse). If your deck is in New England, I’d recommend waiting until spring. The sun will bleach some color from your deck over the winter, but the stain next spring will still bring the mahogany to a rich, deep color. And one winter’s weathering will not degrade the life of your deck. Diagnosing problems like yours is difficult at best, especially over the internet. Penetrating oils (Sikkens included) need to soak into the wood. In fact, their labels often warn against applying another coat too soon. I expect the second coat you added “a few days later” did not penetrate thoroughly, but stayed partially on the surface and weathered inconsistently – hence the blotchy appearance. For an even appearance, sand that offending triangle before re-treating. Getting the triangle to match the rest of the deck will be tricky. Sanding the remainder of the deck offers the best probability, since that would bring all parts of the deck to the same state. When all parts of the deck appear the same, treat the entire deck. Good luck. Regarding the 19400 vs 3400 series. I am in NH, and was informed that the 3400 series has not been available for over 5 years due to regulations. Is there somewhere in NE that the 3400 can even be purchased if desired? Also, I am about to install new mahogany. What are your recommendations for spacing? From what I understand 1/4″ is best for around this area. Do you agree? When spacing mahogany boards, ventilation concerns are more important than geography. Decks lower than about two feet high or taller decks enclosed with perimeter skirting often lack the ventilation needed to let the deck boards dry thoroughly after rain. The resulting damp environment below encourages rot that can take years off a mahogany deck’s life. Thus, for mahogany decks lower than two feet high (or with limited ventilation), I recommend 1/4″ spacing between deck boards. That 1/4″ helps some, but does not solve moisture issues. Decks with better ventilation do well with only 3/16″ between. Jim, thanks for keeping this blog running. Good info. I have a good sized 600 sqft Cambara Mahogany deck here in NH that is well-ventilated and while south facing gets pretty good shade for much of the afternoon. It’s about 7 years old and has received Mahogany Flame ATO – the original petroleum-based version from the start and again 4 years ago. It still looks great but needs a new a redo. I’ve heard some negatives about the new low VOC formulation of ATO, mostly by people who had used the old petroleum version like me. Good questions. I recently began a comparison test of Cabot’s new, low VOC ATO (series 19400) against their older, oil-based ATO (series 3400). Initially – after only two months in direct sunlight – the new low VOC holds its color better. So I am encouraged about the long term prospects of the new formula. Once the test results are definitive, I’ll report them in my blog. I have no experience with Timber Ox Green, just what I’ve read on their website. Sorry. Do you have any fastner sugestions other than top screwing with stainless screws? And should I consider treating all 6 sides of the decking before I install the decking or install and stain later? Over time we have tried several “hidden fastening” systems on mahogany 1×4 and been disappointed. Tiger Claw clips do not pull the mahogany tight to the joists and create a deck surface that is slightly uneven and squeaks when walked on. We briefly tested the Camo system and found that it too frequently split the sides of our 1×4 mahogany. Smart Bit’s screw and plug system performed best, but required we sand the entire deck after the glue dried — a significant effort. Thus, we continue to face screw our mahogany 1×4 decks. Swan’s 316 grade stainless steel trim screws perform well and their painted heads (“ipe” color) blend well visually. I do recommend pre-treating all sides of mahogany installed on low decks. Less than about 18 inches of ventilation below a deck will prevent the mahogany’s bottom surface from drying properly and can lead to premature failure. That’s failure spelled “R-O-T”. We have a mahogany deck that was installed two summers ago. It gets a lot of sun on half of it. The other half is under a porch overhead so not as much sun. We are about to stain it and like your recommendations. Question is, a railing has to be painted as well that goes along the porch. Which should we do first? The porch or the railing? The railing is primed already so we feel as though it can wait but the deck has been left untreated for two summers. I hope we aren’t too late…. Jen, Rather than painting the railing, I recommend stain. Paint can peel and flake; stain penetrates better, ages gracefully, and is available in any color. That said, I’d suggest you stain the rail first. Protect the floor below with a drop cloth. If some stain does get past your pretection, you can wipe / sand it clean before you finish the floor – preferable to cleaning drips on a newly finished floor. Good luck. Jim, We have a mahogany deck that was constructed about 6 years ago (May 2008). It is fully exposed to sun and the elements. After it was installed I treated it with Cabots ATO and it looked beautiful that first year but the next year it was terrible . . . blotchy, near black spots here and there. However, the rails, spindles and lattice were not bad. I have since had it sanded by a professional wood floor guy three times and restained (the year before last with Sikens Water Base Stain and last year with Sikens Oil Base Stain. All stains were “transparent”. Each time it looked like new but the next year it was back to the same problem. We’re thinking about having it re-sanded and restained again in the next couple of weeks. Any suggestions on staining/treatment that will better endure? It’s hard to know what’s happening to your deck. “Blotchy, near black stains” makes me think of mold, but mold normally does not grow when fully exposed to sunlight. Sanding your deck will remove the top layer, but may drive some mold spores deeper into the wood. I have two suggestions. Rather than sanding try a deck cleaner and deck brightener. I’ve had good results with Cabot’s “Problem Solver Deck Cleaner” and “Problem Solver Wood Brightener”. Better: Take pictures of your deck problems, send them to several stain manufacturers, and ask for their analysis and recommendations. They have experts, perhaps biased experts, but you can compare several responses. Good luck. I am about to install a cambara deck. I ultimately want the deck to have a natural grey weathered look. Is there a way to let the deck turn grey but keep it safe? Ned, I have two different thoughts. 1. You want a grey deck that is still “safe”. Cambara mahogany is naturally rot resistant. Just let it weather and do not treat it. I am unsure what you mean by “safe”. An untreated cambara deck will last a long time before it fails – 10 years? 12? More? Longer if it is high enough to have good ventilation underneath. Probably longer if it is treated with a preservative. 2. Mahogany preservatives try to keep the wood’s rich color, and they do so primarily with pigments that block out the sun’s ultra violet rays. Those pigments would color the wood you do not want colored. That said, I suggest you let your cambara weather to the grey you like and then apply a “natural” color preservative, one that adds the least pigment. Cabot ATO has a “natural” version, as does Penofin. Save some scrap cambara boards and let them weather like your deck. Then you can test several preservatives on the scraps before you apply your choice on your deck. Tell me how it goes. Confessions from a serial deck abuser……. I can’t believe all the things I have been doing wrong all these years to my poor deck. From this day forward I will let my deck dry for at least three days, get rid of all the junk between the boards, return the new roller I just bought, nor more power washing and damaging boards…..Thank you for all of the helpful hints. A newly reformed deck abuser! Your page has been extremely helpful for us as we clean and plan to treat our Mahogany deck. We have gotten the Mahogany Flame from Cabot. A neighbor said oils sometimes turn the decking black with time, mold, sun. Is this something I should worry about? I have seen the result of the Mahogany Flame oil on another small deck we have. It looks great now. Will it last or turn black, making treatment harder the next time. After treating your mahogany deck with ATO mahogany flame, you can expect it to weather slowly and gracefully. ATO does not encourage mold growth (which appears as black spots), quite the opposite. No worries. Tom: Mahogany, like other woods, swells and shrinks with moisture. Temperature affects wood very slightly, if at all. As your wood warms up, I expect you will not notice any increase in width. The mahogany will shrink as it dries. It also seems like the deck boards were installed too closely — they should not close up. We just installed a mahogany floor on a newly built screened in porch. I want to preserve the color with the suggested Cabot’s Austrailian Timber Oil. (1) When should I apply the first oil treatment? The railings on the porch are PT wood and we are waiting until Spring to put the stain on the PT wood. (2) Should we put polyurethane over the stain… especially on the inside? Will polyurethane make the stain hold up better? Bonnie: Treat mahogany directly after installation. The only reason to wait would be for good weather – dry and temperatures in the 50s or warmer. Never apply polyurethane to a wood deck. It will flake off over time. Use a penetrating oil. We recommend TWP for PT decks. It is available on-line from MFG Sealants. I’m trying to decide between Mahogeny and pressure treated wood for the railings. We probably will be painting the railings in either case to conform to the look of the rest of the house. Given that it will be painted, is there any reason to go with the more expensive mahogeny? David, The advantages of mahogany over PT wood are several, but most significant are better dimensional stability, lower tendency to splinter, and more attractive appearance. Because PT shrinks considerably across its grain, joints in your rail will open noticeably, the posts will check, the top rail cap may cup significantly, and the stair handrail or bannister could splinter dangerously. Mahogany is a dramatically better wood than PT, but the cost difference is also dramatic: twice that of PT. For a large deck, that difference could be thosands of dollars. Wow. Beauty lies in the eye of the beholder, but splinters may lodge in the hands of your guests. Consider a combination: frame your rail in PT, but use mahogany where hands touch — the top rail cap and especially the stair handrail. And do not paint your rail. Stain it. Paint flakes over time and will require scraping. Stain fades gracefully away. Semi-transparent stains display the beauty of wood, and solid stains are available in literally any color. Don’t pay all that money for mahogany and then hide it. Save your money — but protect your hands. David: Mahogany is more dimensionally stable than PT; for a well-built rail, however, that advantage is minor. Most people choose mahogany for its appearance — but if you plan to cover the rails with a solid stain, where’s the advantage? By the way: never paint wood rails (or decking for that matter). Paint is a film and will flake or peel off over time, and require laborous scrapping or sanding. Apply a good quality stain instead. 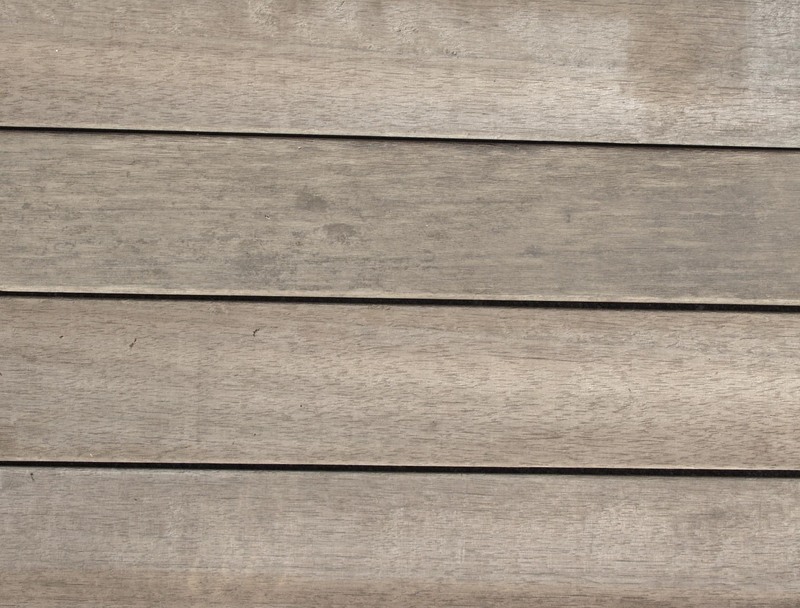 Cabot and other companies make solid stains for outdoor wood in almost any color. They breathe and will not flake, resulting in easier re-treatment year later. So glad I found this site with all this information. We had a mahogany deck installed 10 years ago and never sealed it. About 5 years ago we asked a painter how to return it to it’s original mahogany look and we were told the only way to accomplish this was to paint the deck. Needless to say it looks horrible. Can we power wash with a good cleaner and then finish with the Cabot’s Australian Timer Oil?? Lisa: Power washing will certainly help. (Make certain whoever power washes your deck is experienced and uses proper technique.) You may have to sand the mahogany as well. I expect a “good cleaner” will not be adequate. You may need a much stronger wood stripper. Cabot’s offering is called “Problem Solver Wood Stripper”. You could call Cabot for detailed guidance: 800-877-8246. Good luck. his website is very helpful! My husband just built a beautiful deck last summer that was ‘Mesmerized’ with a one coat finish. He sealed each end after cutting. Now we have a slightly graying deck and I would like to restore it to its brilliance from when the wood was delivered. I don’t know the species of mahogany but it was so varied, with redplanks, some planks with tiger-eye gold stipes, purple planks, dark burgundy, etc. We used the colors to plan out the trim edges, etc. What I want to do is restore the brightness. It sounds like using an ATO that is tinted wouldn’t meet my needs. Is there such a thing as a clear coat that you would recommend? ALso, is there such a thing as a deck cleaner that you would scrub on, like with a broom, and then rinse off? We bought a deck cleaner but I don’t know if a generic cleaner would be species-specific or if it’s ok.
I’d recommend cleaning the deck with Cabot’s Problem Solver Deck Cleaner ( http://www.cabotstain.com/products/product/Problem-Solver-Wood-Cleaner.html?productTypeName=Exterior%20Surface%20Prep ). Follow the directions carefully. Then treat it with Cabot’s Australian Timber Oil, Natural color. The Natural has little or no pigment. Look at the opacity comparison samples on Cabot’s site: http://www.cabotstain.com/colors-and-finishes/families/Clears-and-Translucents-Colors.html. If you are unsure, try their small sample can. Good luck! Hi Jim, I’m learning a lot, thank you for sharing all these tips. I just installed new mahogany deck wood on my 3 season enclosed porch, and was wondering if it is safe to treat it with the Penofin Hardwood Formula or if I should use something different because it’s enclosed. You’re safe. The roof and walls of your enclosed porch will not affect the process of treating the floor or the product you select. Your roof will keep the floor drier than an exposed deck, but I’d still warn against treating on a rainy day. Open the windows to assist drying time, but even then your floor will take longer to dry than if it were outside. And be especially vigilant to wipe up any excess oil that does not soak into the mahogany within 10 seconds. Be sure to plan just where you will finish (at a doorway) — we don’t want you boxed in a corner waiting for the floor to dry! We are preparing our mahogany deck for application of the Cabot oil and were wondering what the effect of sanding the deck would be. The deck was built five years ago and has not been touched since. It has a full day of sun exposure so it’s in pretty bad shape. Will sanding hurt the wood? Carefully sanding your deck will not hurt. Be sure to set the screws or nails below the deck surface, otherwise they can damage your sander. If you have experience with a belt sander, it can be very effective, but be careful. Its power and speed can be difficult to control, and it could gouge the mahogany. I’d recommend 100 grit, or perhaps 80 grit — nothing coarser. It’s critical you sand with, not across, the grain. A random orbital sander will be much kinder to the wood surface and is more tolerant (its random motion allows you to sand in any direction). Good luck. You seem to favor ATO. Other sites say not to use it ever. I just power washed my 12×22 mahogany deck. It is twelve years old. In the past I have used “Superdeck Brand Products” db1910 natural. It is from Duckback Products. My supplier went out of business. Thanks for the comment, John. My favoritism for Cabot ATO stems from my testing it — and other penetrating oils — on mahogany. In two tests, about six years ago and again two years ago, I found that ATO holds its color longer. I also like the choice of colors ATO offers. And another benefit I find valuable is Cabot’s excellent field service — on request, they have visited a particularly troublesome deck to help me determine a solution. But back to your deck, John. I hesitate to recommend sanding without seeing your deck. But here is the crux of the issue. Power washing often does not remove all the old, hardened preservative or paint. You must get the entire deck surface cleaned down to bare wood. 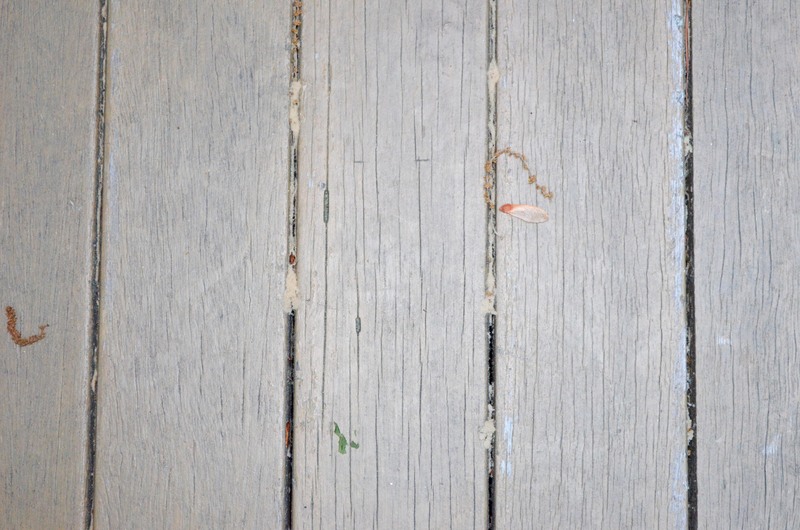 If your deck looks splotchy now — darker spots among areas of bare wood — then it will look splotchy after you re-treat it. Be careful how you sand: a powerful belt sander used carelessly will damage your deck. For suggestions, see my blog post about sanding PT wood. The same principles apply to mahogany. One final suggestion: take pictures of your deck (including close ups) and contact Cabot’s Technical Support center at 800-US-STAIN. They may help analyze your deck and recommend solutions. Good luck and tell me how you did. It’s me again. I’ve been looking at my deck and see that it has faded unevenly. It’s not mahogany. I think it’s pretty much just plain wood. I can’t imagine what it would look like if I tried to power wash it…even if I wear shoes! What should I do to get the deck ready so the new stain will go on evenly? I don’t want the same thing happening with the new treatment. I just loved your tips on treating. I guess I should stop using my husband’s old shorts and use the lambs wool instead. Boring, but the deck will be beautiful.